I’ve been pretty fortune to be able to try a lot of really cool products over the years. This goes for both from well known and little known companies. Take for example this new Yeelight Lightstrip Plus. I’m 99% sure most of you have never heard of Yeelight before but I think after this review, you just might go check them out. 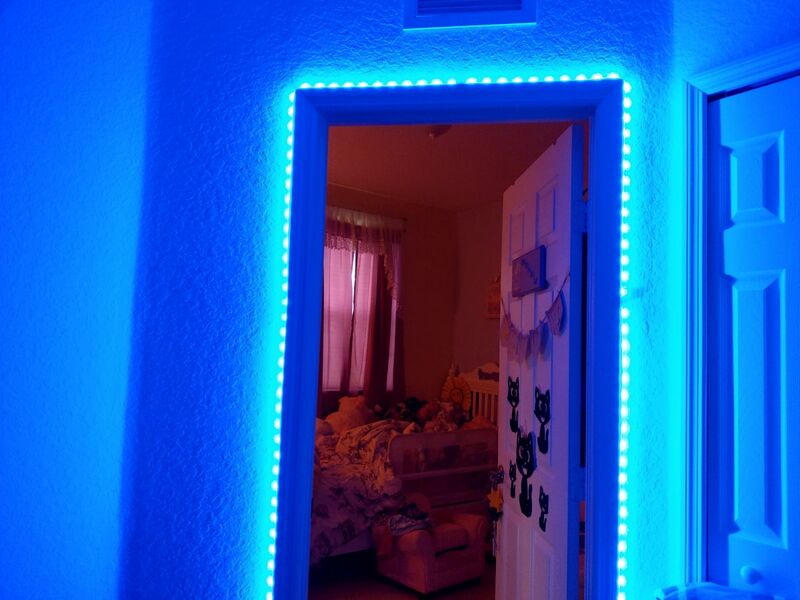 The Yeelight Lightstrip Plus is a Google Assistant enhanced smart lightstrip that can be installed almost anywhere, features a wide color spectrum, and can be controlled via voice. For the most part, the Yeelight Lightstrip Plus can act like a regular old lightstrip. The lightstrip is made with mercury-free soft PU gel, allowing it to bend and shape itself to whatever you want to stick it to. Sticking it to furniture or walls is a cinch too due to the double sided tape included with the kit, so the combo of both the tape and flexible design makes it easy to install on any surface. The LED lights in the Yeelight provide a wide range of colors and can be changed via long tapping the button on the control switch. This switch is also used to turn the lights on and off. What sets the Yeelight Lightstrip Plus from other lightstrips though is the integration of smart features. 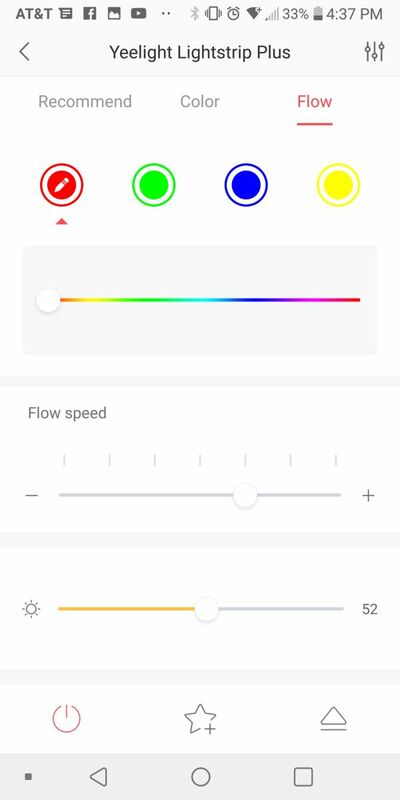 To make the most of it, you’ll need to first connect your Yeelight Lightstrip Plus to your wireless network and download the Yeelight app for either iOS or Android and if you’re using Android, you can integrate the smart features even further with Google Assistant. 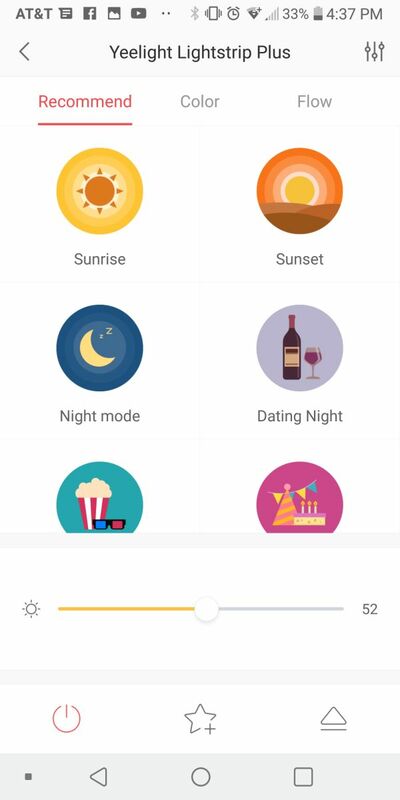 The Yeelight apps allows for a variety of new functionality for the Yeelight Lightstrip Plus. With it you can change the color of the lightstrip, adjust brightness, create color flow macros, schedule on and off times, and more. There’s actually a ton you can do with the app if you take the time to dig through it. You can even have the lights sync with sound and music. The Yeelight Lightstrip Plus also works with Google Assistant. 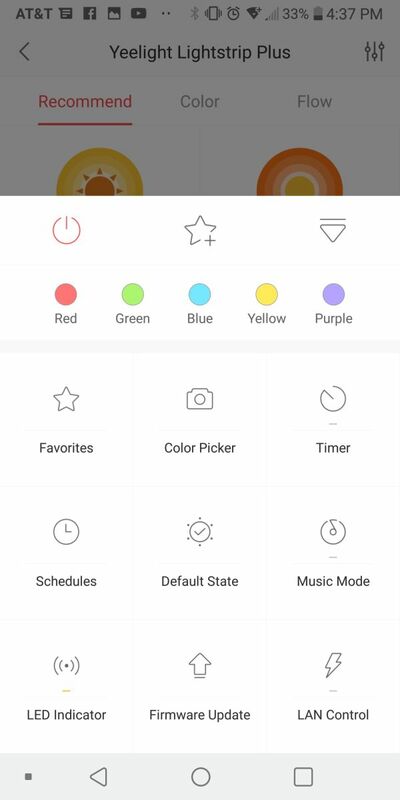 You can use your Google Assistant to control on and off functions, changing of colors, set brightness, or tern off a group of them if linked together. Lastly, the Yeelight Lightstrip Plus is only about 80-inches long (2-meters), but there is a Lightstrip Plus Extension that can be purchased separately which will extend it about 40-inches (1-meter) per extension. You can extend the whole system up to 10 meters and like I said above, you can have multiple Lightstrips grouped together wirelessly. In terms of lighting solutions, the Yeelight Lightstrip Plus is a very interesting solution. You wouldn’t use it as a primary lighting source but instead would use it as accent lighting and mood lighting for a room. For example, under counter tops, shelving, behind headboards, etc. 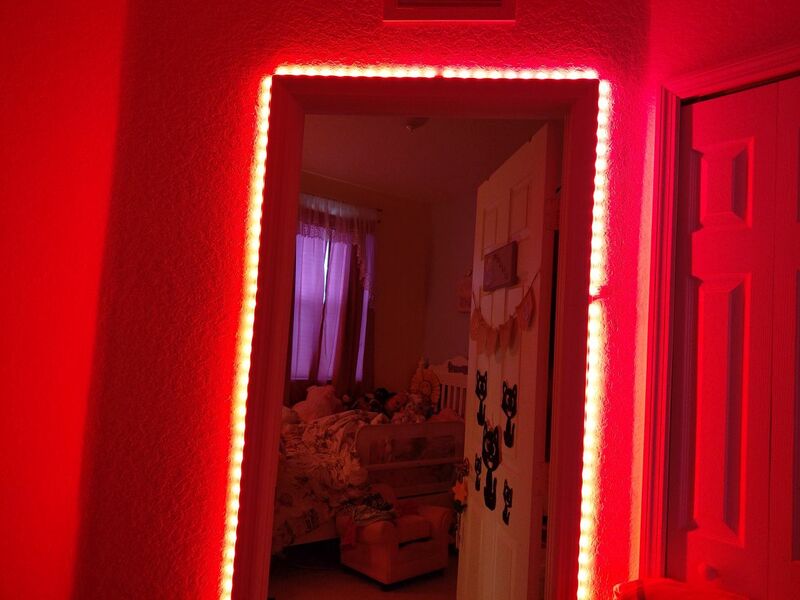 I ended up using it to decorate a doorway for my daughter and she absolutely loved it. So for those of you who want to spice up your decor a bit and add some customizable accent lighting, consider the Yeelight Lightstrip Plus.